What would a trip to London be without afternoon tea? London’s restaurants, hotels, and cafes are full of indulgent and decant experiences. From traditional afternoon tea at Kensington Palace to unleashing your inner wizard, the possibilities are endless! It’s a once in a lifetime foodie experience, and it’s worth every penny. Here’s where to find the best afternoon tea in London! XU: Who says afternoon tea has to be the same everywhere you go? XU Taiwanese Teahouse provides a Taiwanese twist on the traditional tea experience. Warm up with a cup of the finest grade teas from Taiwan, some of which are rare to find outside of the country. Each brew comes with dishes like Goose & Chard Rice and Taiwanese pastries. 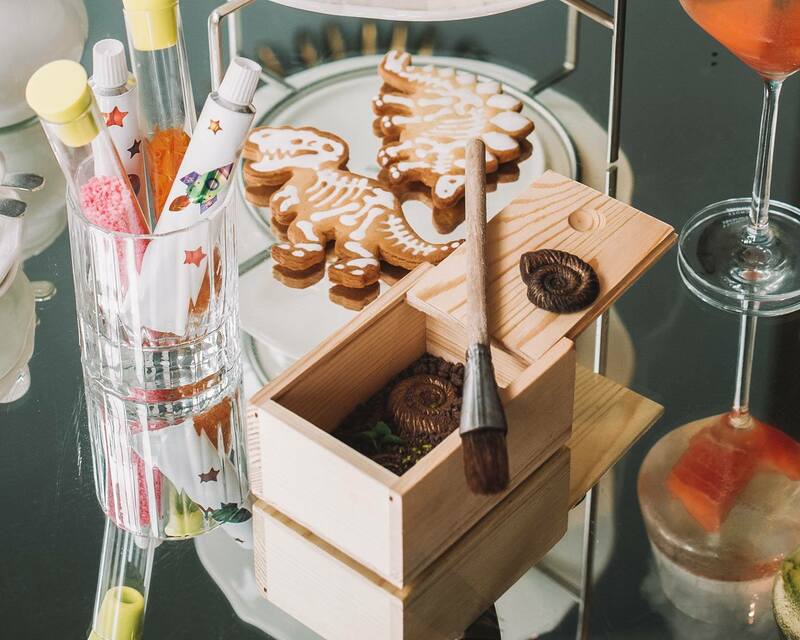 Kaia at The Ned: Spoil yourself with an authentic Japanese afternoon tea experience at Kaia. Held every Saturday from 2-5 PM, you’ll get to nibble on Temaru sushi, matcha buns with kumquat compote and strawberry yuzu. Momo: Visit the unique teahouse of Momo and transport your taste buds to the shores of Morocco. Inside the afternoon tea room, you’ll find beautiful lanterns, ruby banquettes, and large arched windows. It’s not served every day, so phone ahead to make sure it’s available for when you’re in London. Mr. Fogg’s: Mr. Fogg’s afternoon tea is a favorite among travelers. The tea room’s decor is inspired by 80 Days Around the World, and it features eccentric faux Victoriana pieces. What makes it unique is that there is no hot tea. Instead, you can sip on bottomless tea cocktails made of gin, champagne, and cold-brewed tea. Ampersand: Do you have a passion for chemistry and physics? Go to Ampersand for an afternoon tea with a scientific twist! You can sample jellies out of a petri dish, indulge in a chocolate spaceman or snack on some edible fossils. Vegetarian and vegan options are available! Cutter & Squidge: Calling all Harry Potter fans! Make your way to the magical Cutter & Squidge for afternoon tea. You’ll descend the stairs and take your place a school-style desk while you wait for your potions master. Over the next hour or so, you’ll learn how to whisk up delicious concoctions that you can drink and eat. Wands are optional. Don’t miss the Harry Potter Studio Tour! 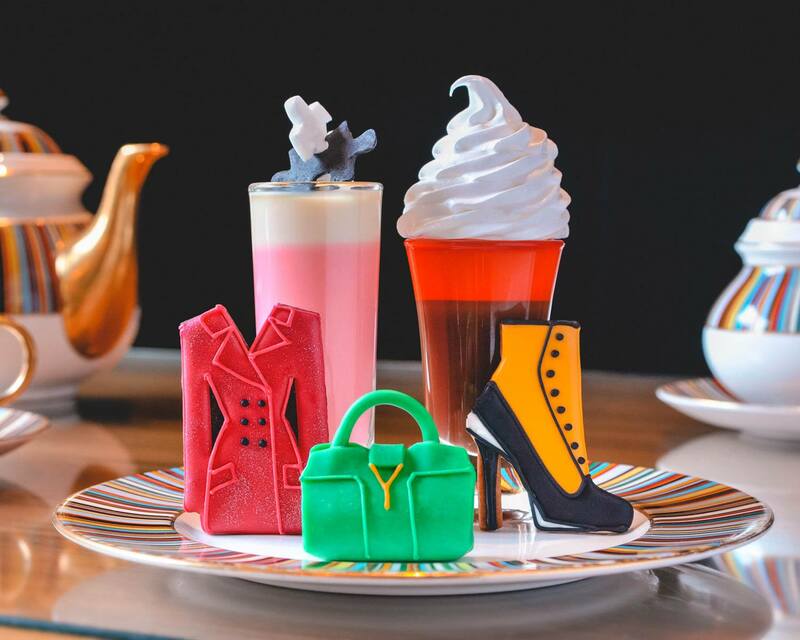 Wyld Tea at the Mondrian: With a view of the Thames, Wyld Tea is a 70’s inspired afternoon tea experience. The restaurant is decked out in Wes Anderson inspired furniture, and you’ll start and end every course with a cocktail. If you don’t drink alcohol, sign up for the boozeless Wyld tea option. Pret-a-Portea: The world of fashion inspires Pret-a-Portea. The menu gets a makeover every six months to reflect design, color and style trends. While sipping on your tea, you can nibble on a pair of Dolce and Gabbana sunglasses or take a bite of Victoria Beckham’s signature shopping bag. Biscuiteers: On a tight budget and looking for a unique foodie experience in London? Head on over to The Biscuiteers. The cafe serves afternoon tea every day from 11 AM to 4 PM and lets you DIY your biscuits! It’s super budget-friendly, and the price includes miniature versions of their top-selling cakes and patisseries. Laduree: Established in 1862, Laduree is famous around the world for their macaroons and L’heure du thé (afternoon tea). It’s located right in the heart of Harrods, London’s biggest department store, with opulent furnishings that would make Marie Antoinette proud. La Suite West: Located just off of Hyde Park, La Suite West offers an afternoon tea experience for vegans. Along with your tea, you’ll snack on things like brioche rolls, artisan vegan cheese, and smoked carrot “salmon” scones. Sketch: Sketch serves their afternoon tea in a pink gallery room that’s complete with pink velvet chairs, pink decor, and pink treats. If you’re in London on a Wednesday and a Mean Girls fan – this is the place to go! Claridge: The Claridge is one of the few hotels in London that have a tea sommelier come in and curate their tea selection. 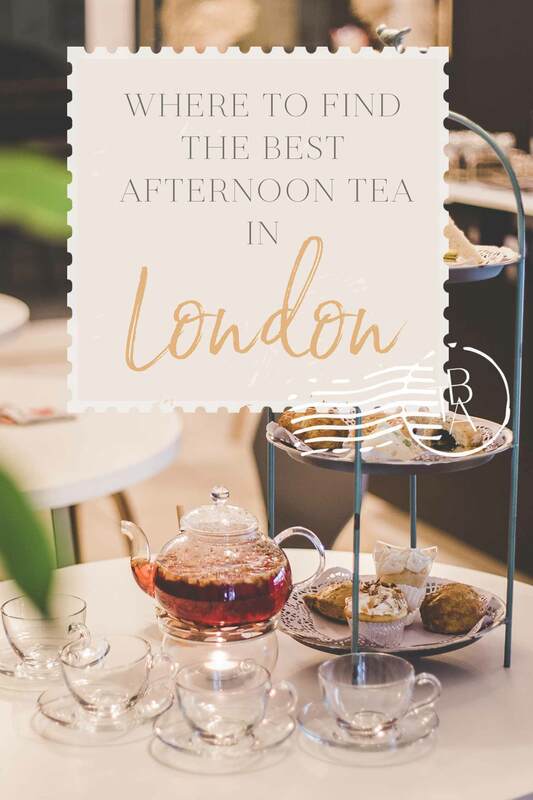 So it’s no surprise that it’s won multiple awards for serving the best afternoon tea in London! What sets it apart (aside from the tea selection) is its opulent art deco setting. Their Tiffany-blue striped glasses are totally Instagram worthy! Rosewood: Voted as the best contemporary afternoon tea in the UK two years in a row, The Rosewood is a must-visit for art lovers. You’ll get to try six expertly made pastries inspired by the artistic movements of Cubism and Pop Art. Served in the elegant Mirror Room, feast on the masterpieces created by Andy Warhol, Pablo Picasso, and Roy Lichtenstein! The Wolseley: The Wolseley is a grand art deco tea hall. It features high ceilings, long chandeliers, and gorgeous decor. But what sets it apart from the other afternoon tea in London, is its famous chocolate loose leaf tea. It’s a velvety rich blend of Indian Assam and Chinese Yunnan black tea combined with Peruvian cocoa nibs and Madagascan vanilla. Zetter Townhouse Marylebone: Named one of the best afternoon teas in London by Vogue Magazine, you can’t go wrong with a booking at the Zetter Townhouse Marylebone. Choose from dainty tea and finger sandwiches or fill up on a heartier menu of delicious pastries. Number 16: Number 16 is a relaxed and stylish place to enjoy afternoon tea in London. It’s served all day long, inside or at the private gardens. I highly recommend sitting outside if you can! You’ll have loads of photo ops, and the gardens are the epitome of London sophistication. The Ritz London: The Ritz London serves one of my favorite afternoon teas in London. It’s the only hotel in the country to have a certified tea sommelier who travels around the world to source the creme de la creme of teas. You can enjoy a selection of sandwiches, scones, and pastries while you sip on one of 18 different types of loose-leaf teas and glasses of champagne. Dorchester Hotel: The Dorchester Hotel is a five-star luxury hotel in London. Expect nothing but the finest quality as you enjoy your afternoon tea in its lavish surroundings. You can also choose from multiple different tea experiences. 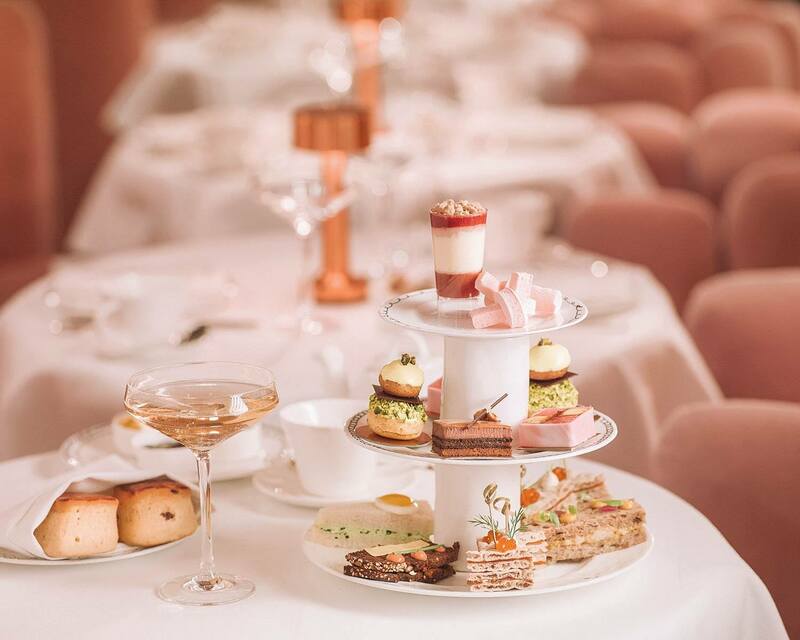 If you’re visiting London over the holidays, opt for the Christmas carols option or try something different with their champagne afternoon tea. 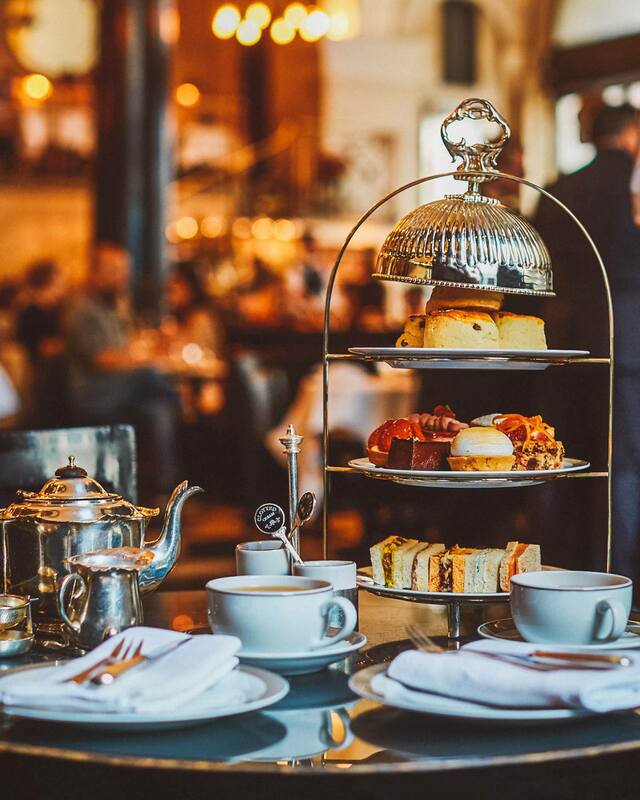 The Royal Horseguards Hotel: Located on the banks of the Thames River, The Royal Horseguards Hotel is home to one of the best sophisticated afternoon teas in London. It’s a perfect choice if you want a traditional experience. Be sure to let the hotel know in advance if you have any dietary experiences. The hotel can cater for vegetarians, vegans, gluten-free, nut-free and other nutritional needs. Corinthia Hotel: Illuminated by a Baccarat chandelier while piano plays softly in the background, the Corinthia Hotel offers an elegant afternoon tea experience. The sandwiches are served on specially commissioned, hand-painted bone china and an antique champagne trolley is rolled into every table to initiate the tea service. Browns: For a quintessentially British afternoon tea experience, make a booking a Browns. It’s a London institution that’s been around since Queen Victoria. In fact, Brown’s was a firm favorite of hers for tea, and it’s been winning awards ever since! The Orangery: Want to experience a regal afternoon tea? Make a booking at The Organery. It’s located inside Kensington Palace, and prices start at a reasonable £19.95 a person. You’ll dine on a selection of artisan rolls, orange-scented currant scones and an assortment of tea cakes, pastries, and jams. 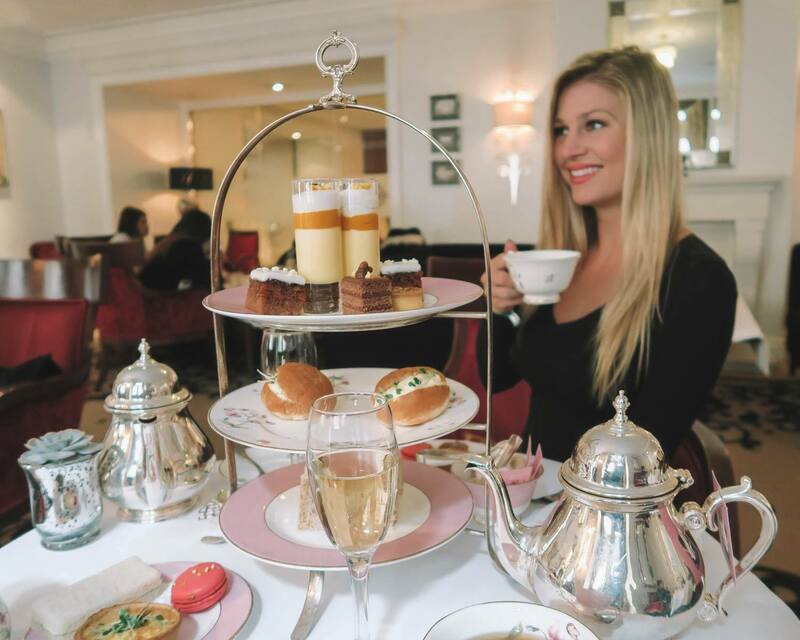 If you want to break tradition, opt for the cocktail afternoon tea experience! 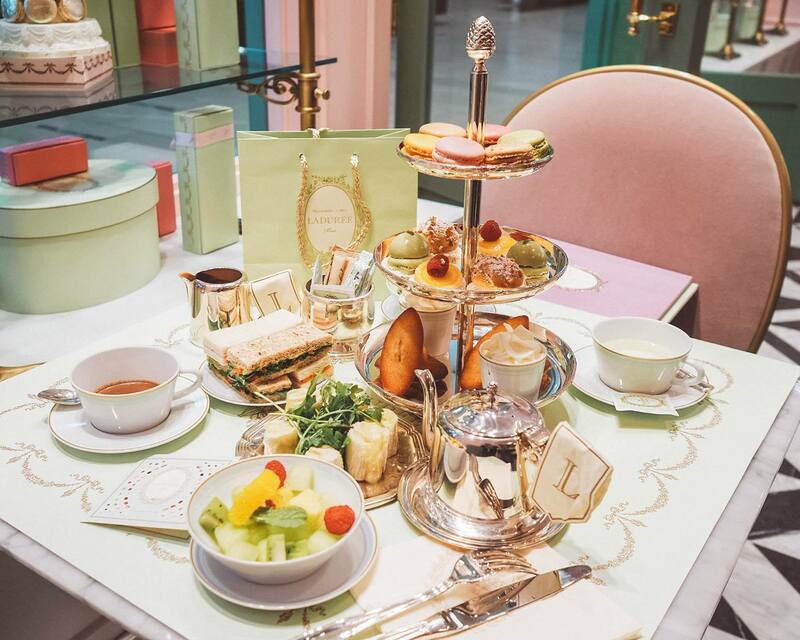 Forget brunch, eating at odd hours doesn’t get more decadent than afternoon tea in London. Whether you’re looking for a classic tea and scones or Jimmy Choo-inspired cakes, there is a range of quirky or traditional tea experiences. 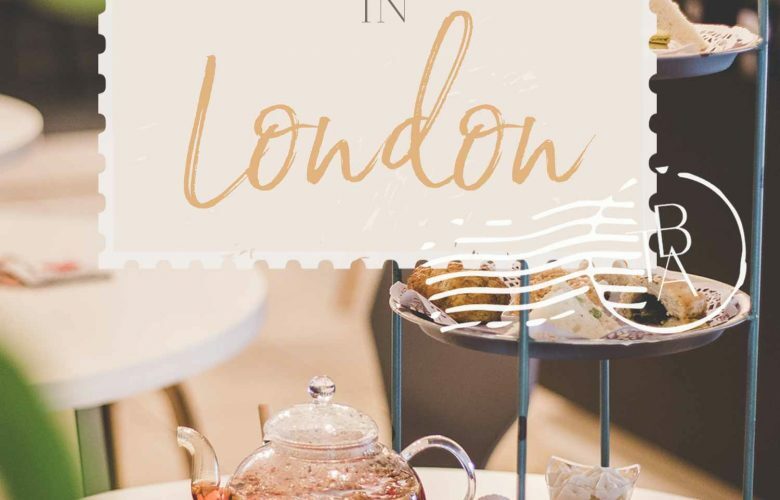 Which afternoon tea in London would you choose? Let me know in the comments!